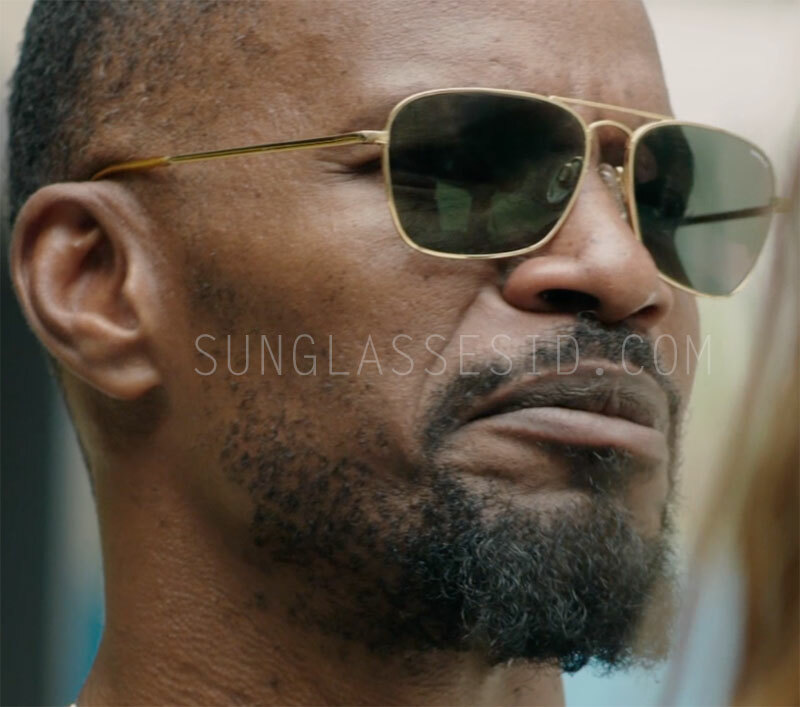 Jamie Foxx wears Randolph Intruder sunglasses in Sleepless. Jamie Foxx wears Randolph Engineering Intruder sunglasses in the movie Sleepless (2017). In the image from the film, the white Randolph logo on the left lens can clearly be spotted. The sunglasses have a 23K gold-plated frame and grey lenses. These sunglasses are named after the A-6 Intruder, a twin jet-engine, mid-wing all-weather attack aircraft the Intruder is built to the same rigid military spec standards as RE's classic Aviator (also seen in many films and series) and provides a more rectangular shape with lenses that sit fairly closer together for additional coverage.